You won't find anything else like this in Vanuatu! Our full moon parties are a great excuse to getaway with a group of friends, pitch some tents or stay in our glamping tents from just 1000vt per person and party the night away. We celebrate our full moon's Vanuatu style, on the beach, around a bon fire with good people and good music, whie taking in the glorious views of the full moon. Cannot get any better! 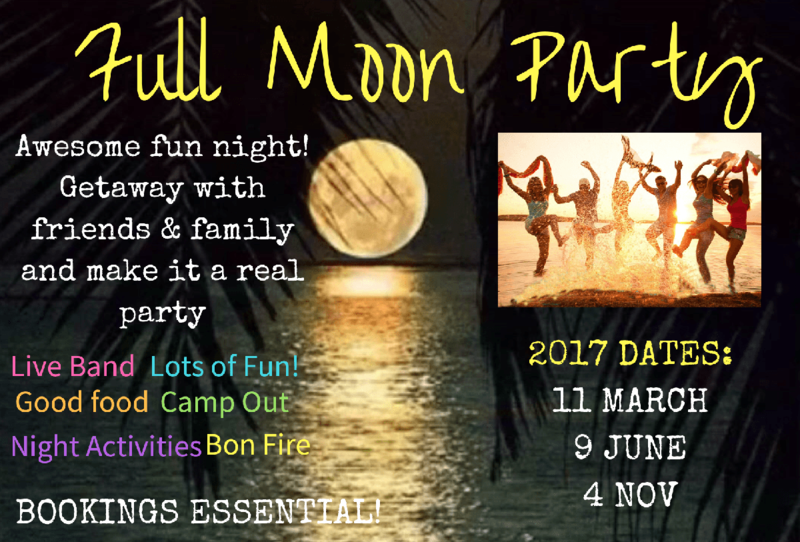 Our full moon parties dates are listed below, so don't miss out on this raw Vanuatu experience and put it on your calendar! Contact us today to reserve your space.